There seems to be an endemic number of failing external antenna cables for these devices. You will know that you have a bad cable because the antenna will be detected, then not detected, then detected, then not detected. Shaking the cable results in more intermittent connections. 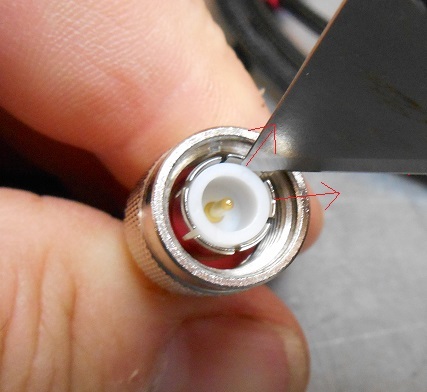 Take a pen knife (or toad stabber as we call them here in Utah) and bend out the six ground connectors on the inside of the TNC connector, just a little (perhaps 2 mm). Of course, you should be careful to not stick your self with the toad stabber, because you are not a toad. That is it. I have found that this fixes at least half of the errant cables. And the fix seems to last forever. If you really do have a bad cable, you can purchase a new factory cable [ 702058 ] but this cable [ IG702058 ] (that we build here at iGage) seems to last longer and not pull out of the receiver when it rotates around the receiver body. UNAVCO is a non-profit consortium of Universities that coordinates the collection and dissemination of geographic information. 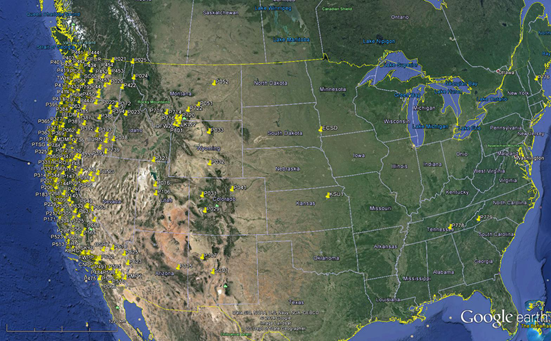 One of the data products that they provide for research and commercial use is a network of 375 real-time continuously operating reference stations (Real-Time CORS) spread throughout North America. Access to streams is available via the internet using standard NTRIP protocol at no charge by simply requesting an account via email from rtgps@unavco.org. Once you have User Name and a Password, you will probably be at a loss for how to use this resource in your everyday survey activities. This application note might help you place the data into a reference frame that you can use.